The Eighteenth Judicial District Commission on Judicial Performance unanimously recommends that Judge Truston Lee Fisher BE RETAINED. Judge Fisher has lived in Lincoln County since 1962 and has completed a total of 27 years as a county court judge. He has a Bachelor’s Degree in Biblical Studies from the Bear Valley School of Biblical Studies and served in the United States Marine Corp during the Vietnam era. He is actively involved in his community, where he has served on the School Board, assisted in the High School wrestling program as a coach, and worked in the 4-H program for over 15 years. He regularly speaks in high school government classes, conducts mock trials in the schools and has participated as a judge in many speech contests. He feels it is critical that he be part of the community and let the citizens see that he is involved in their activities. In his spare time he manages a farming and ranching operation. In the review process the commission spent considerable time examining all aspects of Judge Fisher’s performance as a county court judge. Surveys of attorneys, non-attorneys, prosecutors, public defenders, litigants and even personal self-evaluations, rulings, court room demeanor, and conducting personal observations of the Judge were studied in detail. He has engaged himself in extensive judicial education to ensure all are treated with respect and dignity, regardless of their position in the court. Advanced preparation and extensive research enable prompt and equitable rulings for all parties in the court. Judge Fisher has made a concerted effort to insure that all parties understand the procedures and law whether they are represented by an attorney or are representing themselves. The sample size of attorneys who returned the survey totaled only 19 people, the Commission finds, from a survey point of view, that the sample is too small to be useful. Twenty-Three percent of the attorneys recommended that he be retained while 61% recommended he not be retained, and 15% made no recommendation. Of the 87 non-attorneys who returned surveys, 79% recommended retention, and 18% recommended that he not be retained, with 4% making no recommendation. (These percentages may not add up to 100% due to rounding.) 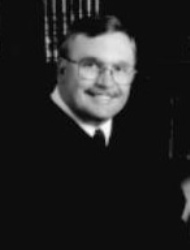 His overall juror score of 3.78 on a four point scale was identical to that of all county judges. His scores were generally lower than other county judges due to some health problems affecting his performance that he is now fully recovered from. Judge Fisher must take care of a large case load involving civil, domestic relations, criminal, misdemeanor, traffic and small claims cases. If there is one criticism directed at the judge that seems to come up regularly it is that he favors the prosecution. The commission sees the Judge as a very capable jurist, who works diligently to ensure fairness, and equitable treatment of all in his courtroom. He is concerned that all have a complete understanding of the judicial process. The commission endorses his retention.